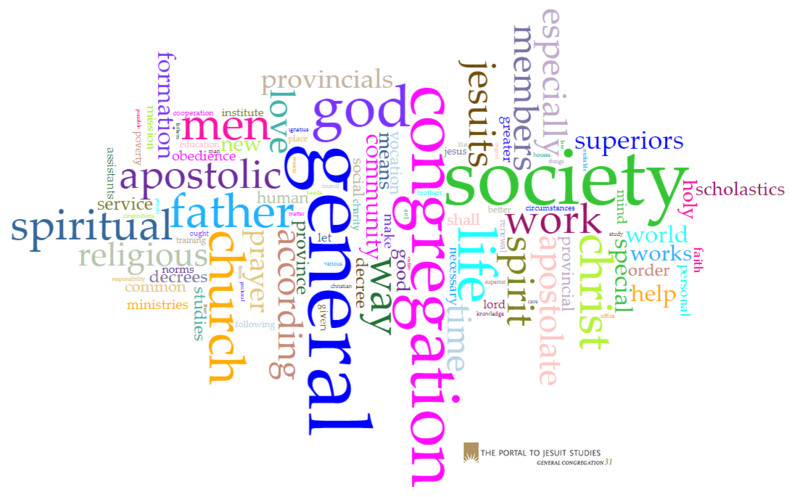 The 31st General Congregation of the Society of Jesus was the first in Jesuit history to meet over two independent sessions, meeting first from May 7, 1965 until July 15, 1965, and then again from September 8, 1966 until November 17, 1966. The delegates in attendance (224 in all) represented roughly 36,000 of their Jesuit brethren during the 141 days the congregation was in session. The congregation took place following the death of Jean-Baptist Janssens, on October 5, 1964, the 27th superior general of the Society of Jesus. As his successor, the delegates of the 31st congregation elected Pedro Arrupe, making him the Jesuits’ first superior general from the Basque region of Spain since the order’s first general, Ignatius of Loyola. (At the time of his election, Arrupe was the provincial of the Japanese province.) Arrupe would serve until the 33rd General Congregation of the Society of Jesus accepted his resignation on September 3, 1983. The delegates of the 31st General Congregation also issued 56 decrees—exactly equal to the number decrees promulgated by the next five congregations. The decrees of the 31st congregation largely fall into seven categories: introductory decrees, the Institute, the formation of Jesuits, religious life, the apostolate, congregations, government, and a general appendix. The wordcloud below represents the most used words in the 56 decrees, with a larger size denoting greater frequency. All the decrees are available the interactive chart below. Search the titles or categories or filter the display based on the same categories. Also available below are various communications between the Jesuit delegates and the Holy See, including two addresses to the delegates by Pope Paul VI. The full contents of all these documents, as well as the other Essential Documents, are searchable available through the Portal. They can each be browsed and downloaded individually. For more on the 31st General Congregation of the Society of Jesus—especially on the important historical context for the gathering—please consult Jesuit Life & Mission Today: The Decrees & Accompanying Documents of the 31st–35th General Congregations of the Society of Jesus, ed. John W. Padberg (St. Louis, Mo. : Institute of Jesuit Sources, 2009).